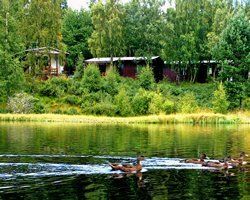 If you're drawn to places where you can be surrounded by stunning natural beauty, then the Macdonald Lochanhully Resort is the place for you. 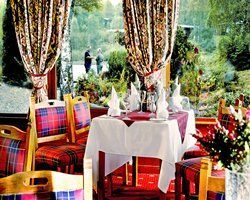 Whether you want to spend your days trekking, skiing, golfing, shopping or doing nothing at all, you'll find endless reasons to choose this Cairngorm timeshare for sale. The Scottish Highlands is regarded as being among the most beautiful natural areas in the world. You get to appreciate this beauty to the fullest when you stay at Macdonald Lochanhully. 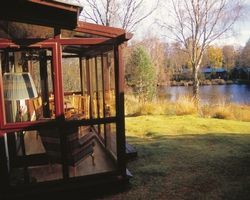 It's located on 35 picturesque acres that lie between the Moray Firth and the Cairngorm Mountains. On the property, you'll find a trout lake when you can land your own catch of the day. If you visit in the winter, you'll feel the call of the snow-covered slopes. Perhaps you'll arrive when the Spey Valley Championship Golf Course is at its best. If so, then you'll definitely want to hit the links. You could also go shopping in the area or just enjoy the pool and fitness center at this resort. The rustic yet elegant accommodations at this property make it suitable for just about any traveler. One- and two-bedroom units feature plenty of room for up to four or six guests. The Scandinavian-style appointments are perfectly in keeping with the rugged landscape, but also ideally appointed to keep guests cozy and comfortable. Full kitchens, separate dining areas and private conservatories are just the beginning of the amenities. Guests of this resort spend their nights surrounded by comfort, luxury and the majesty of nature. 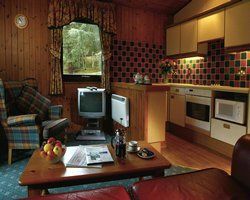 The Macdonald Lochanhully Resort is the ideal accommodation for the nature-loving traveler. With luxurious appointments and a setting that is second-to-none, it's no surprise that more people want to spend their vacations here. With a Cairngorm timeshare for sale, you can too. Contact Macdonald Lochanhully Resort Specialist Today! Days: Friday, Saturday / Time: 5:00 P.M.